It’s time for some brilliantly beautiful music, ladies and gents! 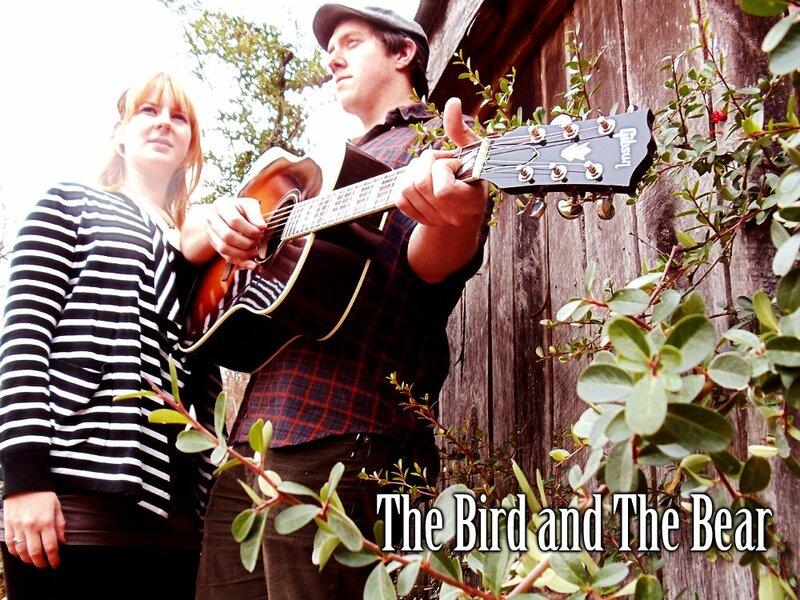 The Bird and the Bear are full of harmonious vocals, stunning guitar work, and fantastic melodies. This dynamic duo uses nothing more than their amazing voices and a guitar to tickle your ear holes and make your feet tap. A lovely blend of Folk and Americana, The Bird and the Bear make simple music that, when listened to, is anything but simple. The intricate guitar work and amazing skill showcased by The Bear (Garry Wood) are so much fun to listen to. I often found myself getting lost in just the guitar work. It’s nothing crazy complicated. There’s no crazy Rock solos or shredding, but just some excellent riffs played to perfection. I don’t want to overlook The Bird’s (Mirthe Bolhuis) excellent command of the mandolin! I’ve always liked the mandolin, and admire those who can play it to its full potential. Be sure to check out The Bird and the Bear’s YouTube videos! You can do a little clicky on the linky and subscribe to their channel. I always enjoy watching videos of live performances because they are quite revealing. You can see it in the way these two musicians play how much they enjoy what they are doing and care about the music. It truly makes my ears and heart happy. And as an added bonus, they sound amazing live! They have a 4 song album, Breathe, available for you to download – for FREE – via Bandcamp below. So after you’ve finished listening to the greatness that is The Bird and the Bear, feel free to download the album to keep for all eternity! Enjoy!